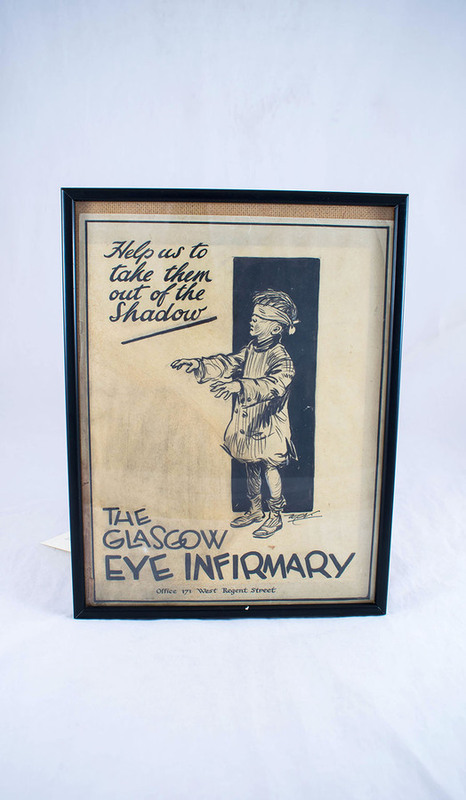 Framed poster drawing, probably by William Campbell Nicolson, published between 1927 and 1937 and used to raise funds for the Glasgow Eye Infirmary. 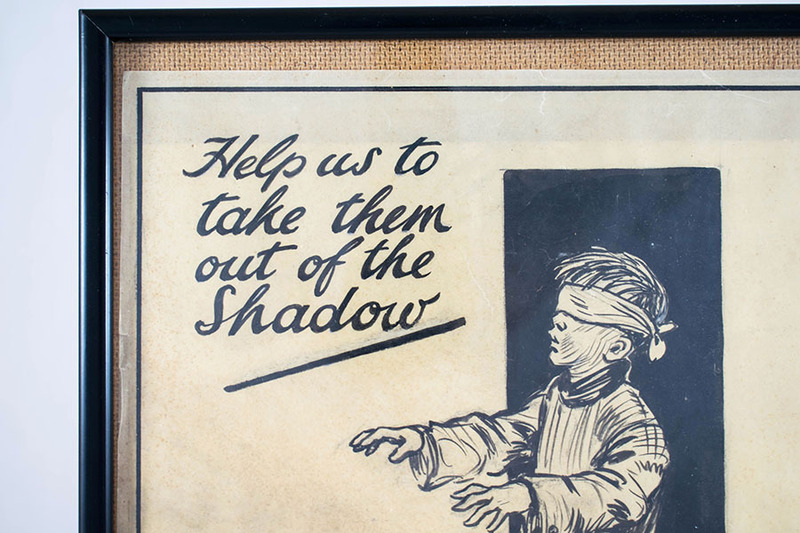 It was found at a jumble sale by Denis Rice of the University of Leicester, who passed it on to the Eye Infirmary. 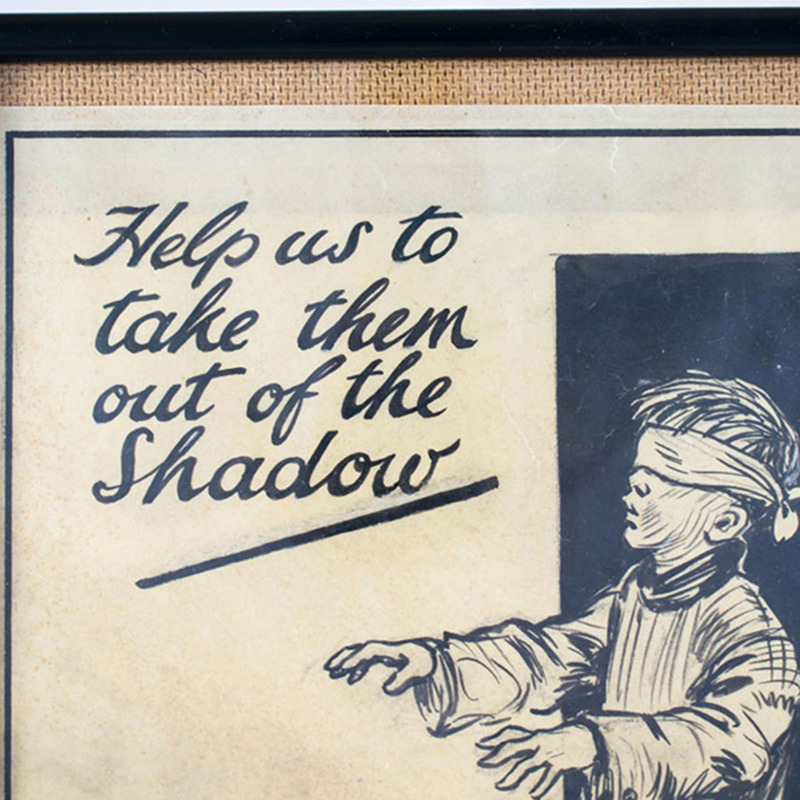 A letter to this effect, dated 1981, is included in the frame. 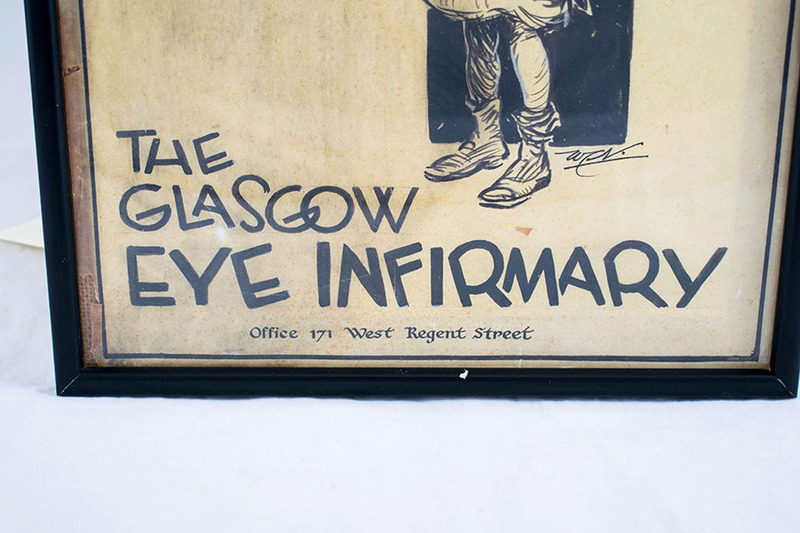 William Campbell Nicolson , “Glasgow Eye Infirmary poster drawing ,” Heritage, accessed April 20, 2019, https://heritage.rcpsg.ac.uk/items/show/1058. 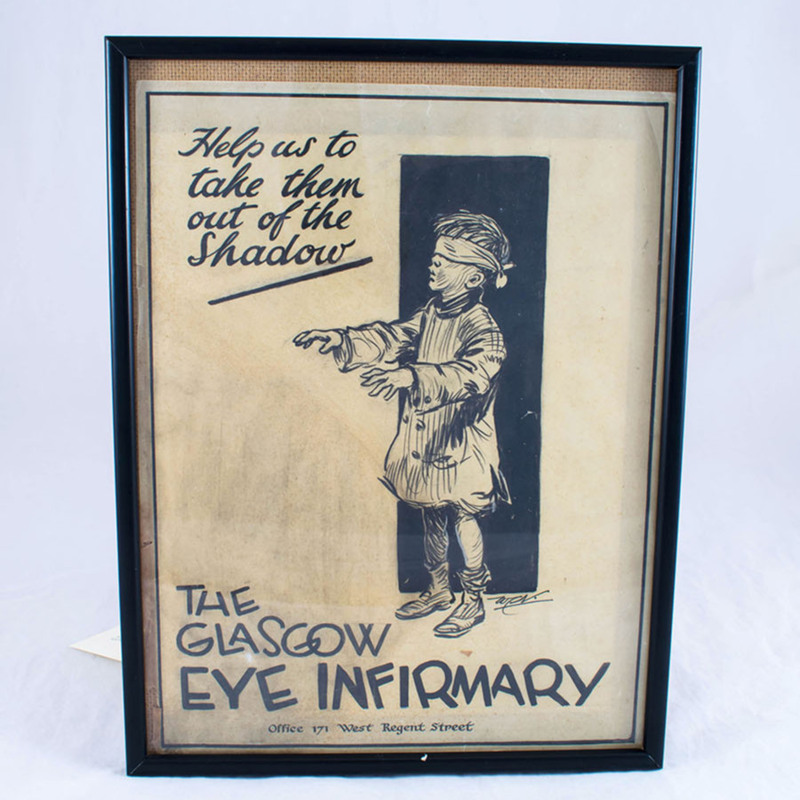 Description: Framed poster drawing, probably by William Campbell Nicolson, published between 1927 and 1937 and used to raise funds for the Glasgow Eye Infirmary. 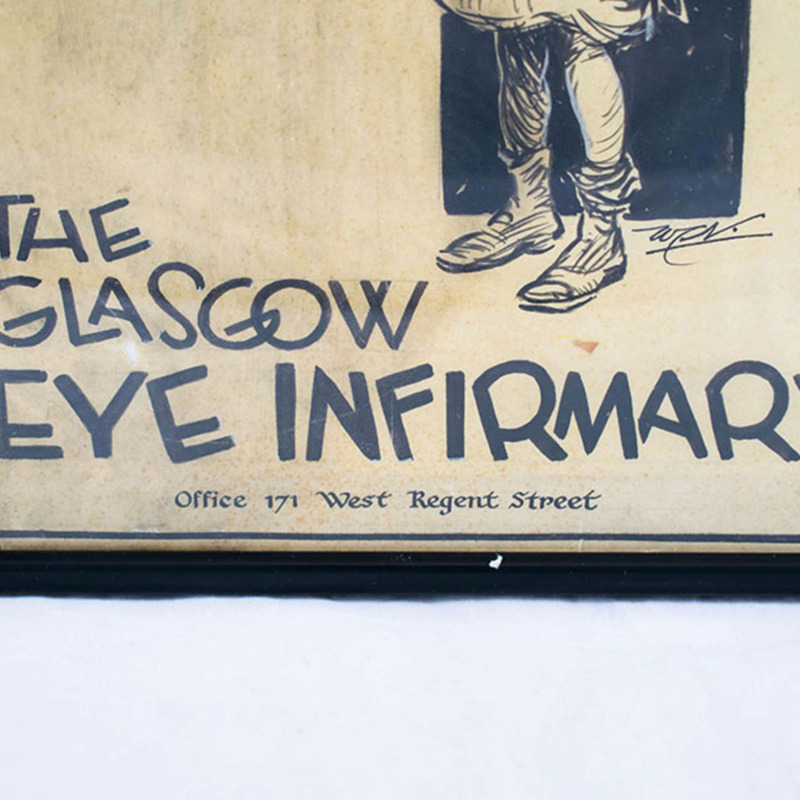 It was found at a jumble sale by Denis Rice of the University of Leicester, who passed it on to the Eye Infirmary. A letter to this effect, dated 1981, is included in the frame.